Soon we will face the ASEAN Free Trade Area or AFTA where this agreement has been initiated by ASEAN leaders at the ASEAN 4th Summit since 1992. Certainly every business person in ASEAN countries will compete each other to enter the realm of business in Indonesia where the people tend to be consumptive. Actually there are a lot of ways we can do that Indonesia benefited in this AFTA. For the example we as a student, we should be a proactive student that is by expanding our horizons and taking a lot of practice or even applying leadership skill in our daily life. Being a leader for many people or become a leader for ourselves at least. But to do these things also depend on the intention and motivation of the students as well. Is he can develop his potential? Or he just want to always be in the comfort zone. Me as an Industrial Engineer in particular should see the AFTA as an opportunity, where I can optimize the ability of my soft skills or I have the skills to work in the field. So then, I am ready to compete with industrial Engineer from all over ASEAN Countries later. I am very grateful to be able to attend the event from PMII (Project Management Institute Chapter Indonesia) Goes to Campus, which was held at the 2nd floor Main Library in Islamic University of Indonesia on Saturday, March 21, 2015. In summary I would like to explain that as a student it would be helpful if we have special certifications which we become an expert in a field of work. If we become a professional in a field, it will be easier to establish networking and of course we will have more value than those who graduate but do not have the special abilities. Singapore has about 9000 people with CAPM, PMP or PMBOK certified. Whereas Malaysia also has more than 1000 people who has been certified in that subject, while Indonesia only has 500 people CAPM, PMP or PMBOK certified (Kurnia, 2015). It's ironic is not it? Indonesia clearly have natural resources and human resources more, but we still cannot utilizing it well. Are we willing to let the people of Singapore or Malaysia to work in Indonesia and take charge of the actual areas of Indonesia alone is able to take charge of it? So let’s take hard efforts on to be independent from all business sectors in Indonesia. However if we want this nation not left behind from our neighboring countries, then we must improve our quality in every sectors. All elements of the society must make a contribution, we as students also do not just focus pursue high GPA without sharpening soft skills as well as our ability in the field of non-academic matter. If we can balance the ability of academically and non-academically then we will really be able to be students who will produce something positive for the nation. So let's act to be skeptical and be proactive student who's not only good in internal campus affairs but also good in interweave networking at off-campus. So that our bachelors do not lose much quality from bachelors in other ASEAN countries. Kurnia, Z. (2015). Introducing and Practicing Project Management. 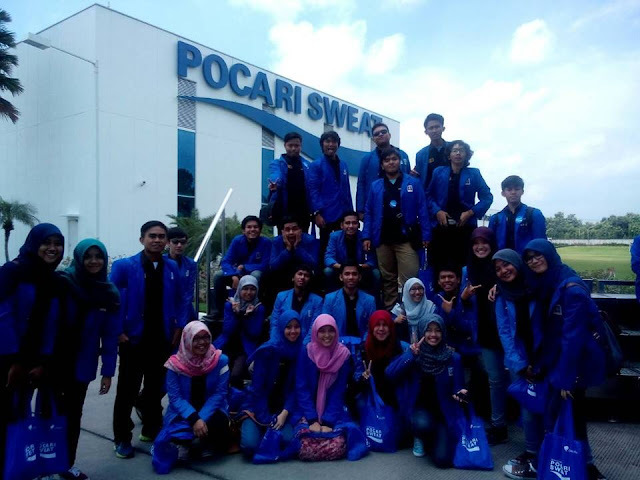 Proceedings of the Project Management Institute Chapter Indonesia Goes to Campus Conference. Yogyakarta: Islamic University of Indonesia.